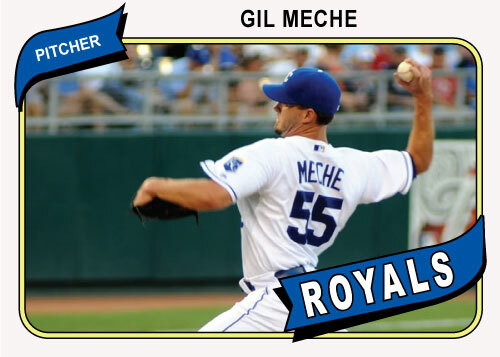 Gil Meche will always be a very noteworthy Royal. 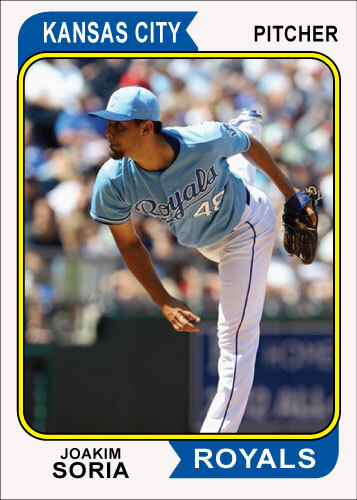 The Royals were laughed at when they signed him to one of the larger deals in that off-season. Over the next couple of years everybody seemed to think this was a much better signing than originally thought. It seems this is one of the few big free agent contracts the Royals got right. Meche retired today citing his recent injuries. This makes a lot of sense. He was relegated to the bullpen because his arm couldn’t hold up and he was at the end of his career anyway it would have appeared. 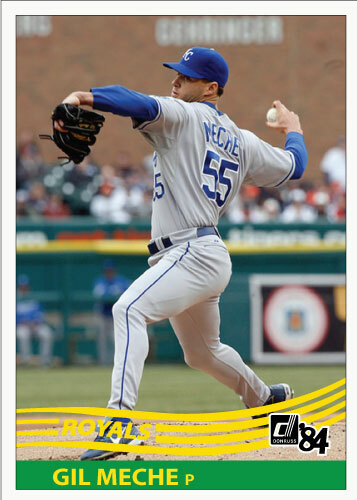 I was always a fan of Gil Meche and I am very glad he put on a Kansas City uniform. Here are a couple of Gil Meche cards to honor him. 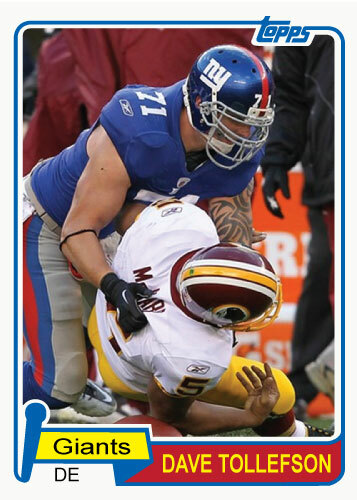 Meet Dave Tollefson, defensive end for the New York Giants. Why is he significant? He came from my alma mater Northwest Missouri State University. The Bearcats football team from Northwest has placed a few players in the NFL now. Most recently Tollefson, Xavier Omon, Jamaica Rector, Seth Wand and Chris Greisen. 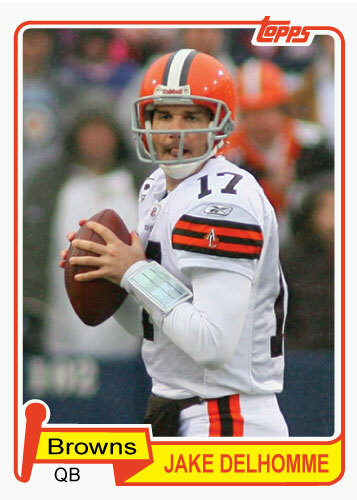 Tollefson has been a backup for a couple seasons now in New York. He is backup to a couple pretty good Pro Bowl type players. Osi Umenyiora and Justin Tuck. He plays almost every game and gets a lot of special teams action. In the photo above he forced Donavan McNabb to fumble. 1974 Topps is another one of those “classic” designs I love so much. I just wish Topps could come out with a modern design that looks as nice as these cards do. I am a list nerd, I like to make lists. This is my top 10 albums of 2010. It is by no means the autority of albums for 2010. I didn’t hear every album, nor would I want to. Is Kanye’s album better than these? Maybe but I don’t care and don’t want to listen to it. These are the top 10 albums I bought of the year. 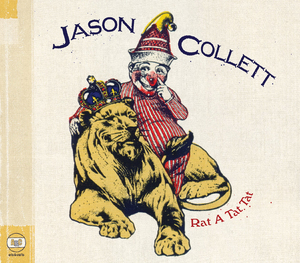 Jason Collett is fantastic. He has little fanfare but writes some of the best pop-rock songs around. Collett is part of the Broken Social Scene family from Canada. He was a guitarist for them for a while and has released a few great albums. The best of his albums is probably 2008’s Here’s To Being Here. This record is almost as good. Few albums can hold up to repeated listens as this does. “Love is a Dirty Word” was the lead single and is probably the strongest song on the album. Collett also released an EP named “Too Wit To Woo” simoltainiously with this album. It is a great companion piece to Rat A Tat Tat and I would encourage giving both albums a spin. You’ve probably heard this one. It got a decent amount of airplay and deserved every bit of it. It is great blues-rock. The Black Keys have a stomp to their music that is unparalleled in modern music. This album is a career highlight and is a great listen every time. This is an interesting album for the Illinois act. It was released digitally in 2009 but the hard copy came out in 2010. It is more commercially freindly that his previous efforts. Reilly has released some great records in the last decade and is one of the better live acts I have seen. He also borrows the talents from the band Cracker for this album, Johnny Hickman and David Lowery. Cracker covered Reilly’s “Duty Free” on their Countrysides record and that is how I, along with many others I imagine, discovered Mr. Reilly’s music. Hard Luck Stories is exactly that, the hard luck story of Ike Reilly. I’m not going to be able to say anything about this double album that hasn’t already been said a hundred times but I’ll say it is really good. Springsteen’s music is all good but his early music has a little more “life” to it. This album was recorded back in 1978 in the sessions for Darkness on the Edge of Town. It is a great glimpse of what was baffelingly not good enough to make the Darkness album. I bet you haven’t heard of this one. Jason Collett is obscure enough, this is Collett’s backing band. They released their first album in 2010 and it great. Great pop songs that have a great scope of sounds for your listening pleasure. When I heard the lead singer of the Killers was releasing a solo album I was less than excited. I think the Killers’ Sam’s Town album is fantastic, one of the best records of the decade actually. They then released Day & Age after that and it is a pile of crap. The song “Human” is maybe the worst song a band I really liked has ever put out. Back to Flowers; Flamingo to me had very low expectations because I thought it would be more of the same, maybe even worse. It wasn’t, it is Flowers having fun and writing modern arena rock anthems while not sounding like crap as the Kings of Leon did in 2010. Get the deluxe edition for the extra bonus tracks. Justin Townes Earle is the offspring of Steve Earle, there is no hiding that. He does still make records with a sound all of their own. Each of JTE’s full length records has a sound all of it’s own in fact. Harlem River Blues’ sound? Think O Brother Where Art Thou? With one important additions. Lead Guitar is played by the incredible Jason Isbell. His electric guitar on top of this smooth folky music makes for a fantastic listen. Jenny and Johnny are Jenny Lewis of Rilo Kiley and Jonathan Rice. This record is exactly what the title advertises; fun. The two share songwriting and singing duties throughout the album creating a very smooth sound that is like pop bliss. A couple of these albums are available autographed on Newbury Comics website. For the regular price of the cd you can get the album still sealed with and extra booklet that is autographed by the artist. I picked up Jenny and Johnny and Brandon Flowers off the website. While you are there be sure to preorder the new Cold War Kids album that I think might just make next year’s list.